......Something about a blonde, a nightclub, some stolen property. A few notes, a little pointless small talk, and then…..the money. It all comes down to the money. It always comes down to the money, doesn’t it? Watch out, Sam. It’s a cold time in Tinseltown. 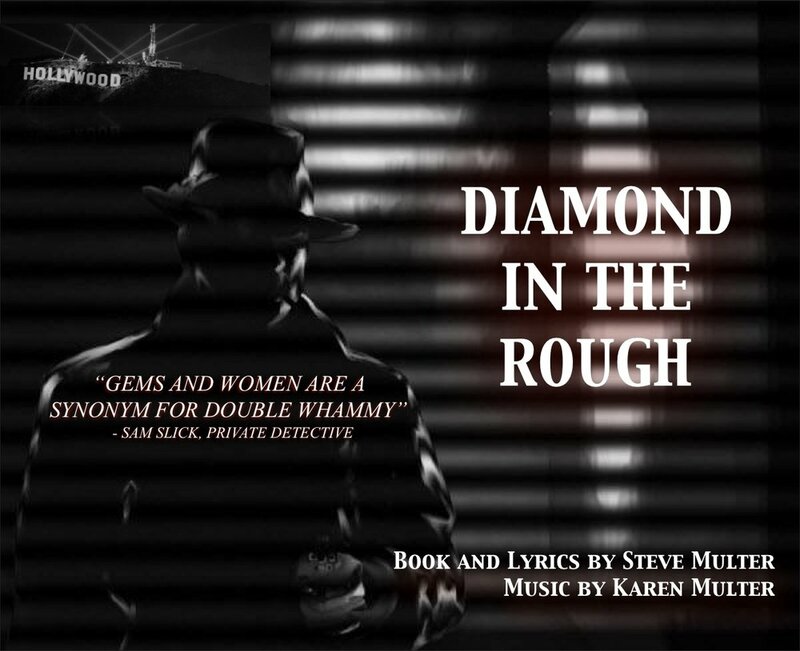 Multer & Multer's newest musical project, Diamond In The Rough, nods to the film noir genre as hard-boiled detective, Sam Slick, loses his wits and his heart to the alluring and mysterious Valerie, femme fatale and notorious diamond thief. Combining the swinging sounds of the Big Band era with tight 4-part harmonies, Diamond In The Rough promises to be a fast-paced chase through 1940s Los Angeles.